Burnside Autocyl is an Irish-owned and operated manufacturer of custom hydraulic cylinders and high volume hydraulic cylinders. We have been supplying the OEM market with a broad range of Hydraulic Cylinders with the highest level of quality for many diverse applications for over 40 years. Central to our company philosophy is a strong commitment to building partnerships with our customers. This begins by working closely with our customers from initial concepts to the final design solution for each Hydraulic Cylinder application. Our design, research and test departments are staffed by dedicated engineers with many years’ experience in the field of hydraulics and are supported by the best tools available such as 3D CAD and FEA software. Rapid prototyping and lifecycle testing of new products is made possible through our dedicated R&D facility. 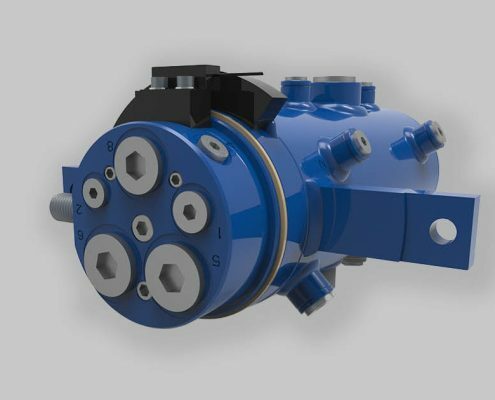 Double Acting Hydraulic Cylinders require hydraulic oil pressure to act on both sides of the piston, so hydraulic pressure is required to both extend and retract the hydraulic cylinder rod. Ports are required at both sides of the piston head to allow hydraulic oil both in and out of the hydraulic cylinder. This would be the most common type of hydraulic cylinder. 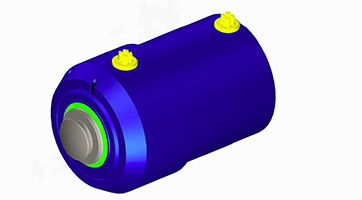 Single Acting Hydraulic Cylinders are similar to above but the hydraulic oil pressure will only act on one side of the piston, so hydraulic pressure is required to either extend or retract the hydraulic cylinder rod (not both). One port is required to allow hydraulic oil both in and out of the hydraulic cylinder. A weight or some external force or load will move the hydraulic cylinder rod in the opposite direction to the hydraulic pressure. 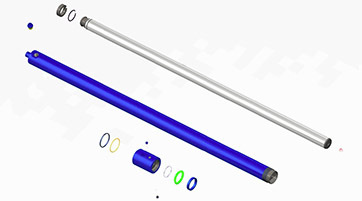 Plunger type cylinders are probably the most basic form of Hydraulic Cylinders. Plunger cylinders would generally be used in most forklift lift masts. The rod diameter (piston rod diameter) determines how much power the cylinder can generate as there is no piston head present. The Hydraulic oil pressure acts on the diameter of the rod and lifts the load. 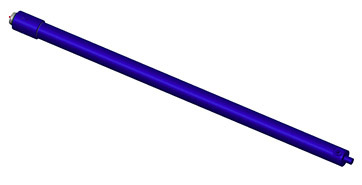 The cylinder rod is then retracted by an external/force load. One port is required to allow the oil in and out. Bleed screws or bleed ports can be required to remove air from the Plunger Cylinder. Pilot Operated Check Valve. This can be fitted to control the exhaust oil from the full bore chamber of a single-acting cylinder or from the annular or full bore side of a double acting cylinder. The cylinder rod will only move when a pressure signal opens the pilot valve. Single Counterbalance Valves. This can be fitted to control the oil from either the annular or the full bore chamber of a double acting cylinder. It has the same characteristic as the Pilot Operated Check valve. It also prevents a cylinder from running ahead of itself under external loading faster than the pump can deliver oil to the opposite cylinder chamber. The cylinder speed and the external load is therefore controlled. Double Counterbalance Valve. This valve can be fitted to a Double Acting Cylinder. Its function is identical to a Single Counterbalance valve except that control is extended to cover both inward and outward movement of the cylinder. Special Valves. We are constantly working together with customers and supplier on special valving requests and designs. We have designs where valving can be incorporated into the internal cylinder components and or bolted/welded to the custom hydraulic cylinder itself. Tandem Hydraulic Cylinders. A tandem hydraulic cylinder is made by assembling two or more hydraulic cylinders one behind the other. These types of hydraulic cylinders are used in applications where two or more hydraulic systems are required. Piggyback Hydraulic Cylinders. These types of cylinders are where you have essentially two or more cylinders welded together side by side. They are an effective solution where space is at a premium for the closed centres. 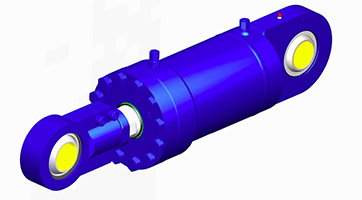 The resulting cylinder will normally yield much larger open centres when compared to a standard hydraulic cylinder design. Double Ended Hydraulic Cylinders will normally comprise of a single piston head mounted centrally on the hydraulic cylinder rod. 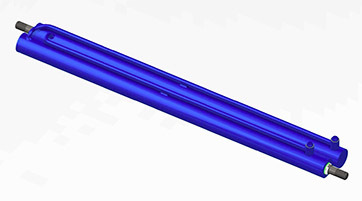 The rod will protrude both side of the cylinder tube. As the hydraulic oil pressure acts on one side of the piston head, one side of the rod will retract whilst at the same time the other end will extend by the same amount. It is this attribute that lends them to be widely used across many industries as Hydraulic Steering Cylinders. At Burnside Autocyl we have seen huge growth in this area over the years. We work closely with many of the Position Sensing manufacturers on various types of solutions. 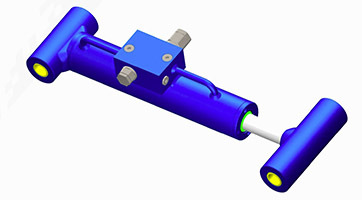 Custom Hydraulic Cylinders with position sensors normally fall into two categories…externally mounted position sensors and internally mounted position sensors. 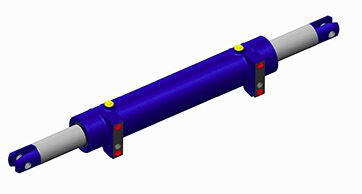 We manufacture a wide range of Non-welded Hydraulic Cylinders. These Screw Type Hydraulic Cylinders can offer longer life cycles better levels of cleanliness and increased levels of serviceability. At Burnside Autocyl we are in a constant state of innovation and development in the Customised Hydraulic market. If you have any hydraulic products that you would like a new supplier for or that require development please get in touch to discuss further. Customised Hydraulic Rotator – Rotary Type. The number of ports can vary from 1-16. These units can operate at 0-350bar / 0-5000psi. The applications for the Hydraulic Rotary Swivel Units can vary across many machine types such as Wheeled Excavators, Tracked Excavators, Demolition Grabs, Personnel Lifts and Rotating Baskets. 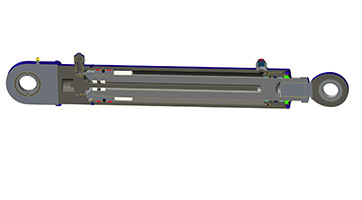 Customised Hydraulic Rotator – Rack and Pinion Type. The working pressure is 0-250bar / 0-3000psi. The rotation angle is 1-360 degrees. The applications for the Hydraulic Rack and Pinion Units are Rotators, Forklifts, Steering Systems, Personnel Lifts, Rotating Baskets and many more.